Wait, no ice cream maker needed you say?? Yes, it’s true! 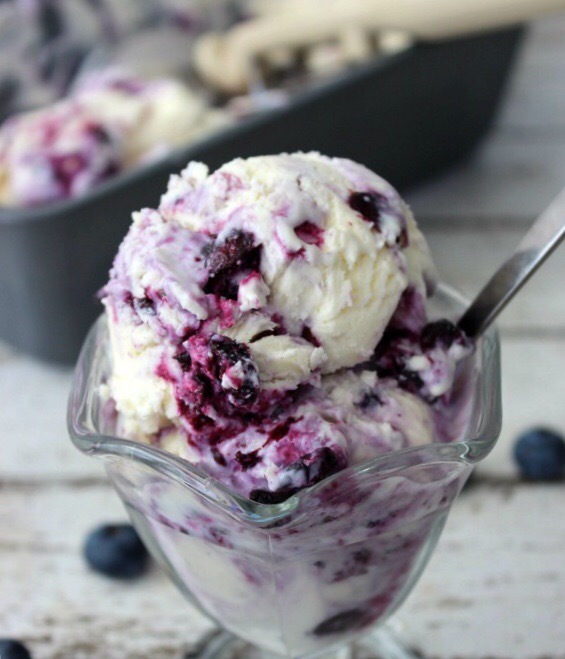 This summer hybrid of ice cream & frozen yogurt (that tastes just like cheesecake!!) can be made with just the help of your mixer! It’s fantastic for these hot & humid summertime months..especially as a great memory making activity you can enjoy with your family! Think about upcoming 4th of July, simply add some strawberries to the mix and there’s your red, white & blue dessert!! You’ll be everyone’s favorite guest! Let’s begin! 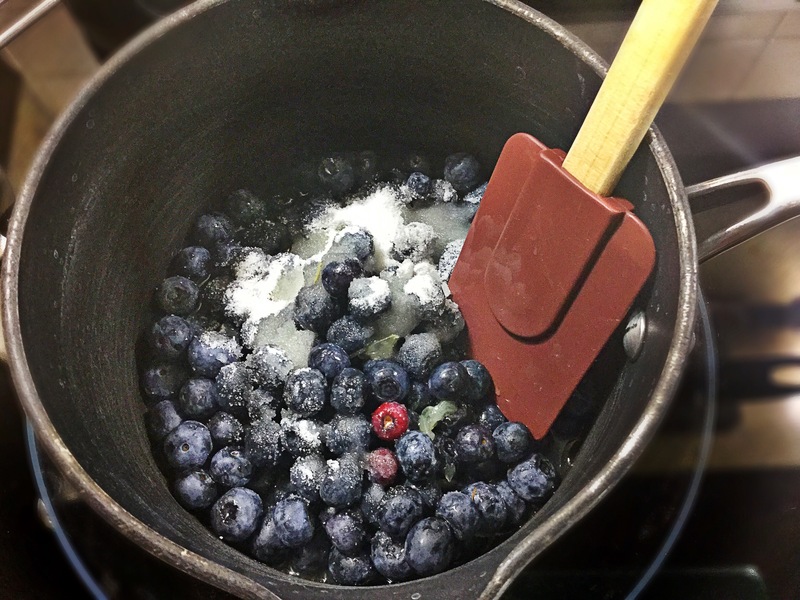 In a saucepan over medium-heat, bring the blueberries, sugar and lemon juice to a simmer and allow the sugar to melt and berries to slightly break down (about 10 minutes). Remove from heat and cool. Onto the base of it all! In a stand mixer or with your hand mixer, combine the buttermilk, heavy cream and pinch of salt to a bowl. Beat together on high speed just till medium stiff peaks form. Slowly add in the sweetened condensed milk and the Greek yogurt till combined. Pour half of the cream mixture into a loaf pan. Next, pour in half of the cooled blueberry compote and create a swirl effect with a spoon, etc. Repeat with the remaining half of cream & blueberries, again, slightly swirling together. Cover with plastic wrap and freeze for 4 hours…enjoy! !